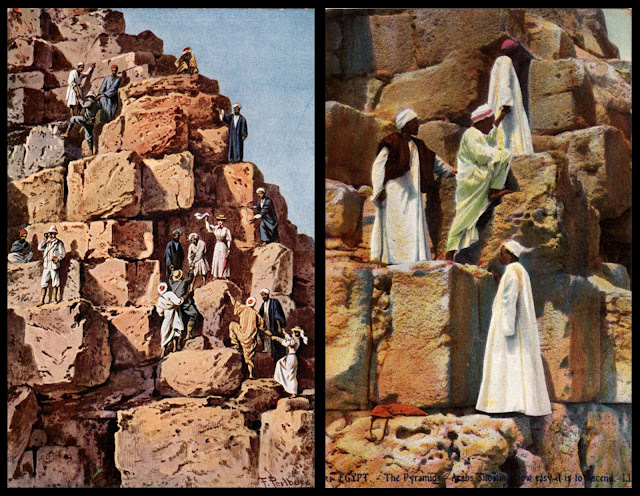 Once the top had been reached most visitors found it necessary to record their accomplishment for posterity by carving their name or initials into the stone (all the while keeping at bay the vendors of spurious antiquities who were present in just as great numbers at the summit as they were around the base of the Pyramid). 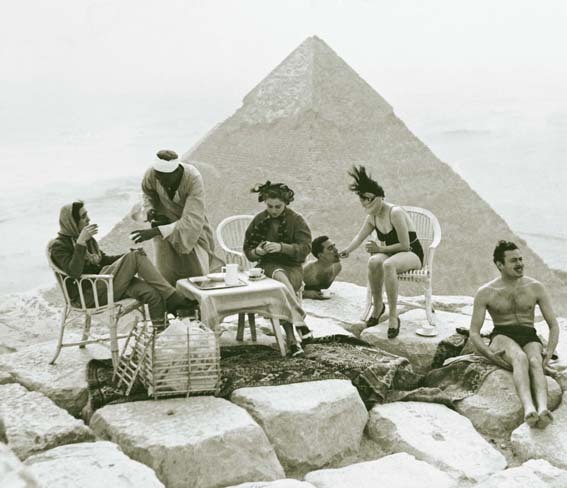 This was a long-established practice and as far back as 1840, Usborne’s guide to Egypt was complaining that the summit of the Great Pyramid was so covered with grafﬁti that it was “difﬁcult for the newcomer to ﬁnd a place free in which to write their own name”. 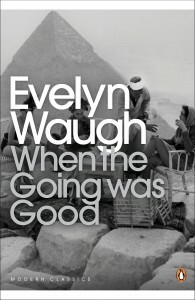 Some parties climbed with hampers and picnicked on the summit; the British Consul-General George Baldwin in the 1770s drank a toast up top to the union of the Thames, Nile, and Ganges, while his daughter danced a quadrille; a young Englishman named Maze in 1831 ﬂung himself off in a suicide attempt (successful); the Prince of Wales and Duke of Windsor, in 1928, drove golf balls toward the golf links far below. 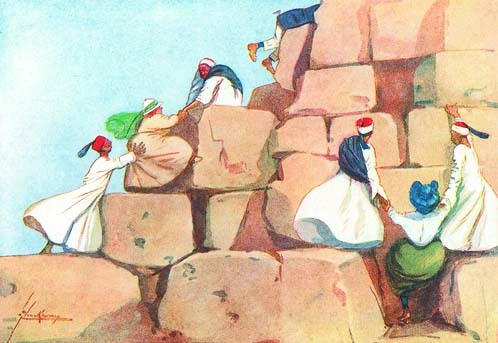 Climbing the Great Pyramid remained an essential Egyptian experience until the mid 1960s, when the Egyptian government banned it on the grounds of safety; four or ﬁve climbers had been losing their footing each year and tumbling down the 51 degree incline to serious injury and even death. 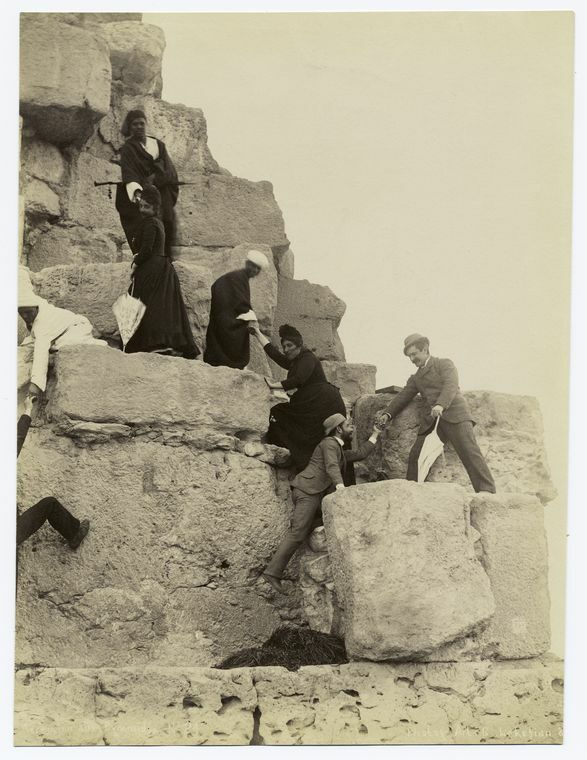 But with a bit of baksheesh tourists were able to continue climbing right up until the 1980s, which was when a clampdown saw the ban ﬁnally being properly enforced. Even now the reckless still creep across the Plateau by night and risk arrest in their attempts to scramble to the top. 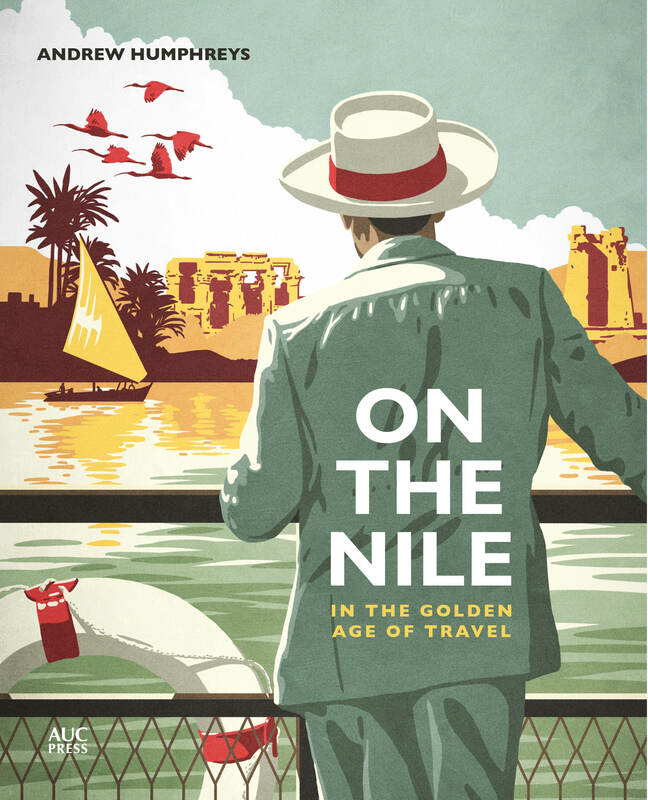 The Japanese, apparently, are the most persistent and consider it a challenge on a par with getting change out of a Cairo taxi driver. You can read an excellent account of modern-day Pyramid climbing here. 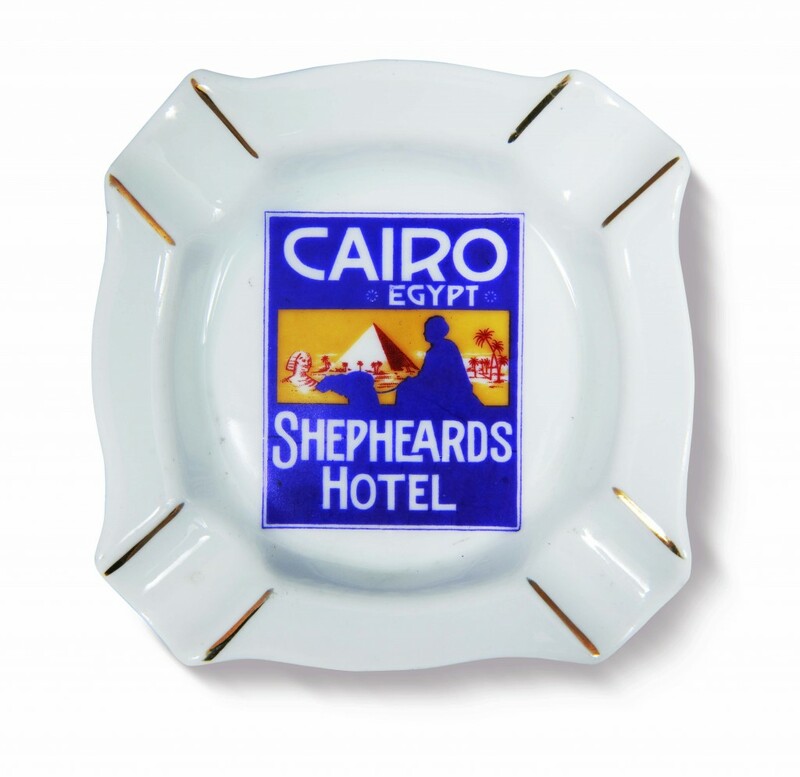 In an earlier post (Labelled with love) I wrote about luggage labels, the small printed pieces of paper that were stuck on guests’ bags and cases to make sure they arrived at the correct hotel. 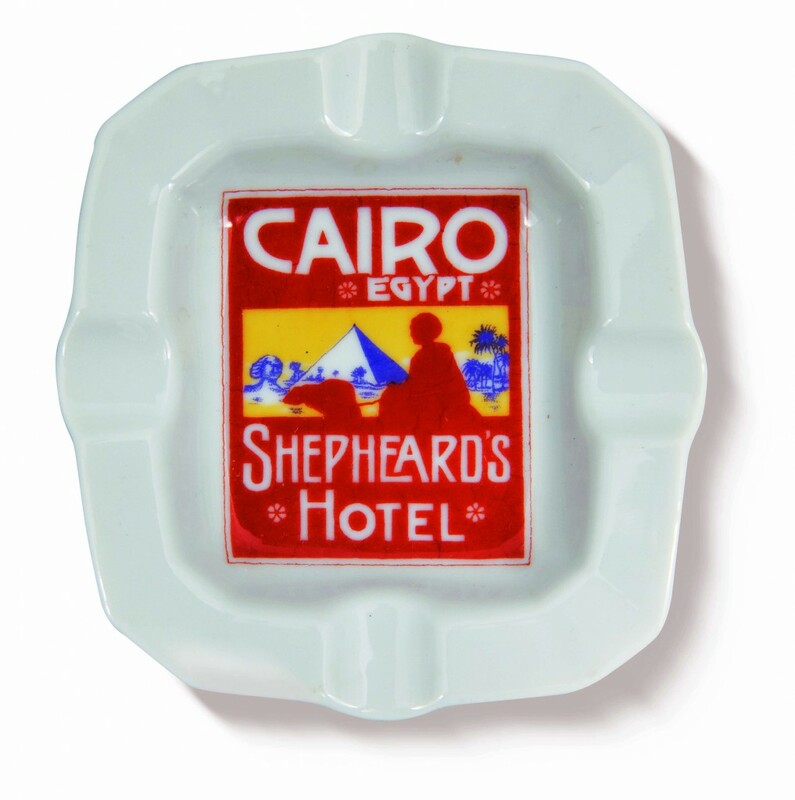 The designs created for the labels often then served as a logo for the hotel, appearing on letterheads, envelopes, and even cups and plates in the dining room. But branding creates problems of its own. 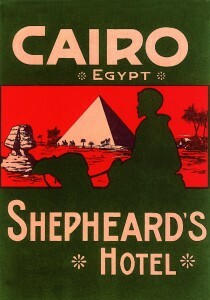 At one point Shepheard’s was losing 2,000 coathangers a year to guests. 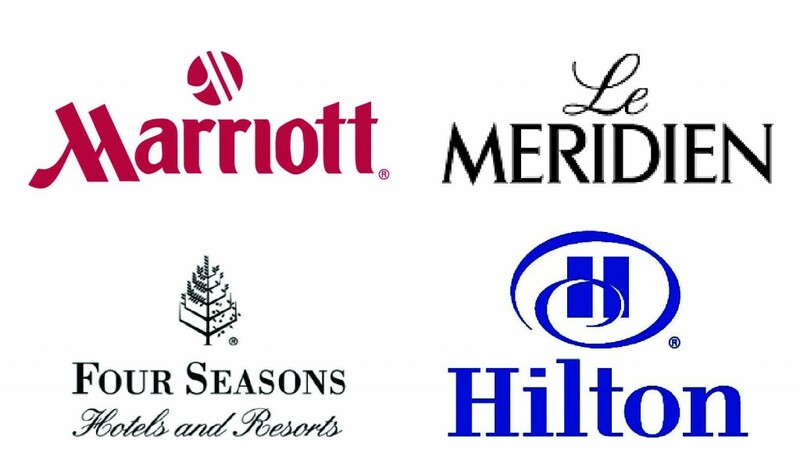 When management stopped printing the hangers with the hotel’s name the losses dropped to almost nothing. 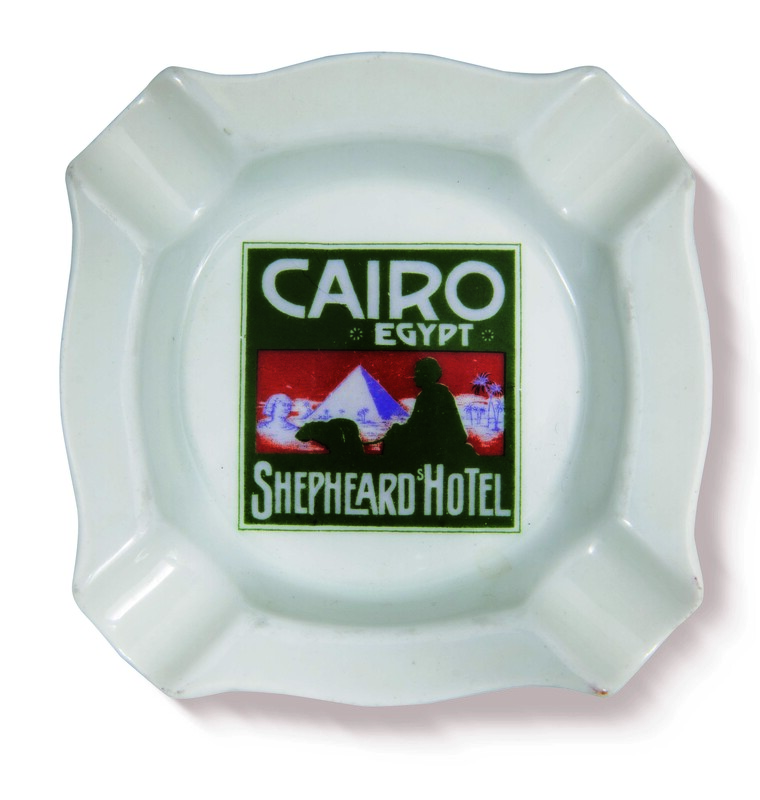 Ashtrays were another favourite ‘souvenir’ item. This, however, was viewed as a good thing: the idea that Shepheard’s branded ashtrays were being carried off back to Europe and America, where presumably they would be proudly displayed, was good advertising – an early form of viral marketing. 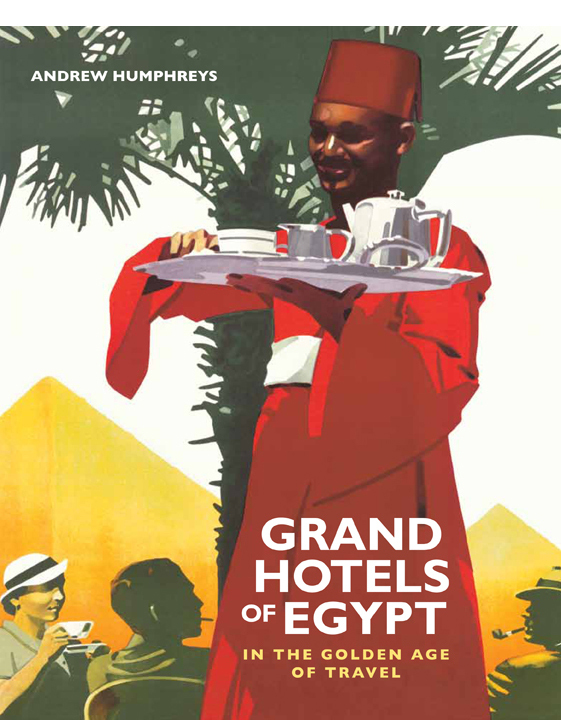 To encourage this the hotel even issued different designs to appeal to collectors. 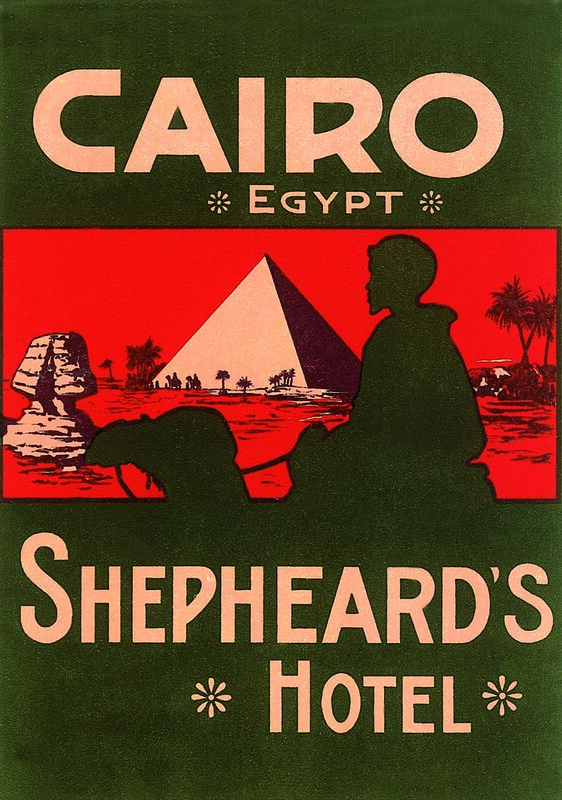 All the designs were close variations on the Shepheard’s distinctive luggage label (the one that heads this post), which was designed by Mario Borgoni of the printing house Richter & Co of Naples, and in use from the early years of the 20th century and throughout the 1920s and 1930s. 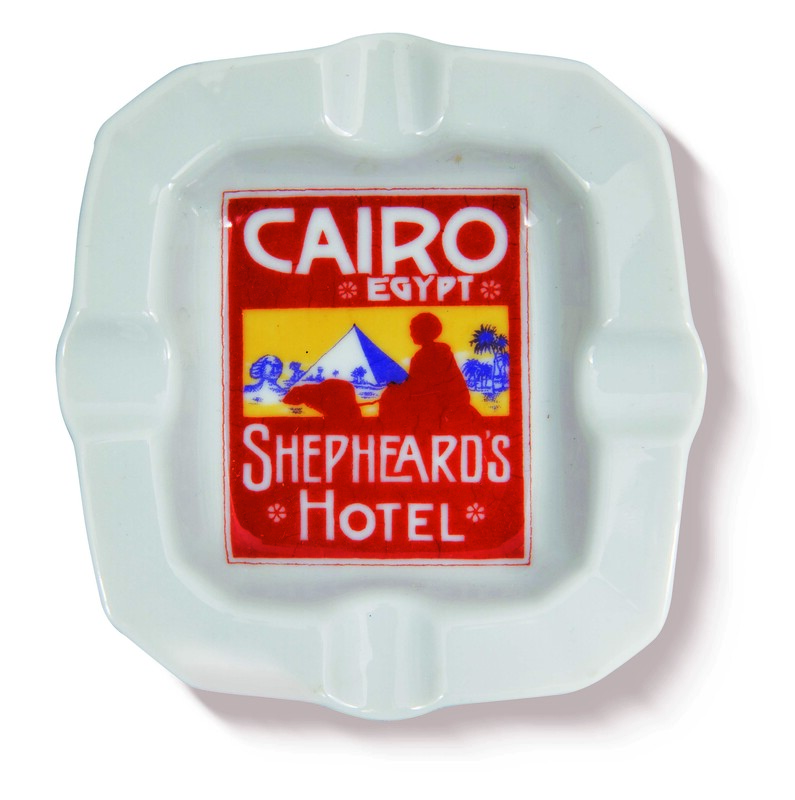 As at Shepheard’s, most of the big hotels had their own signature design – many of the best of which were also drawn by Richter artists. 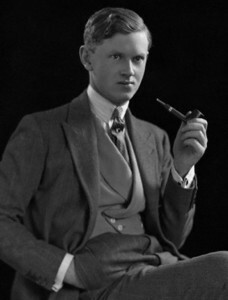 In most cases the designs were maintained over the years with only the occasional variation in colour. 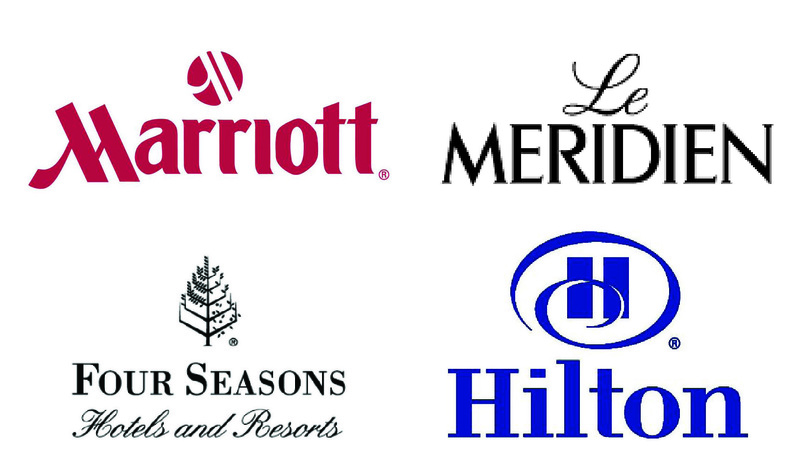 For comparison, here’s a bunch of current hotel branding. 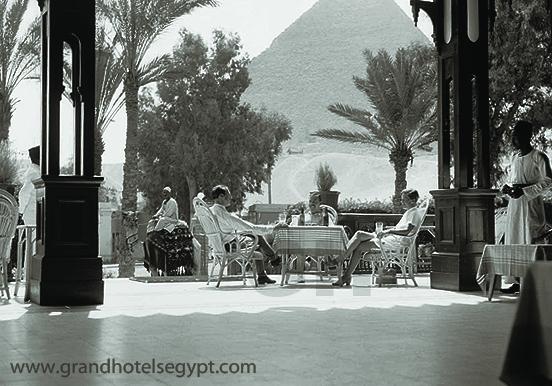 And they say that the romance of travel has gone?